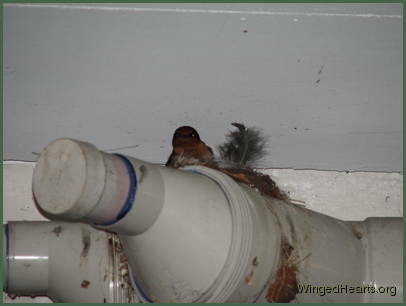 For years I thought these birds were Rufous Fantails. 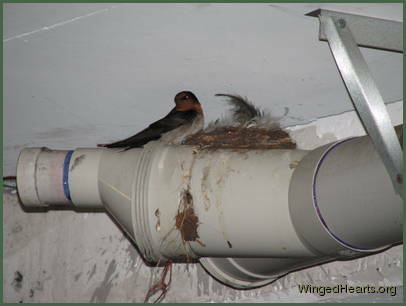 But Sue Laing, a reader very kindly wrote to me correctly pointing out that they are actually barn swallows. 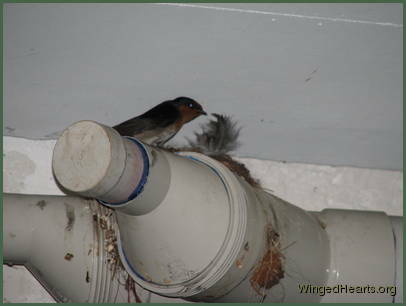 Small and vulnerable though they are, they pay more attention to their environment and fellow neighbours than we tend to credit. 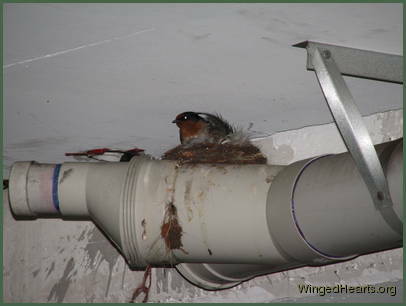 This was yet another wonderful experience with a tiny bird, who make it a point to come out of hiding and talk to Ron in particular. 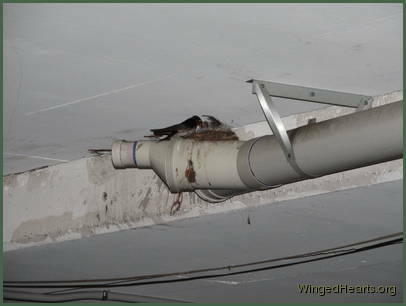 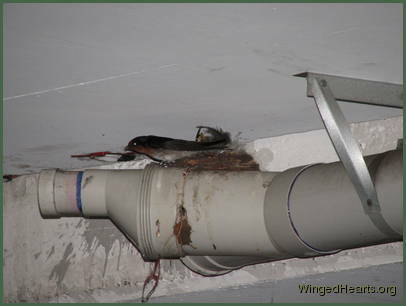 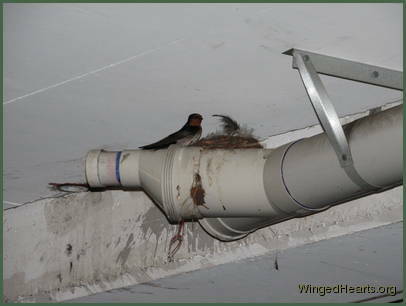 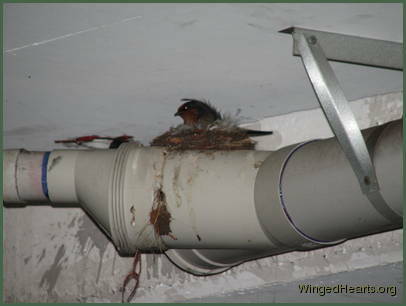 A few days later, I spotted a Mummy Swallow feeding her bubs in the nest, cleverly built on the waterpipes in a shopping centre carpark. 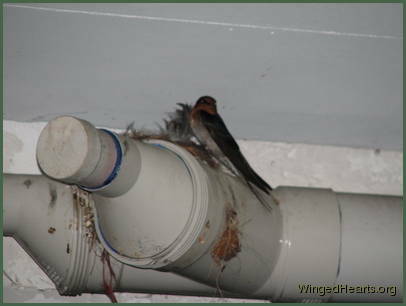 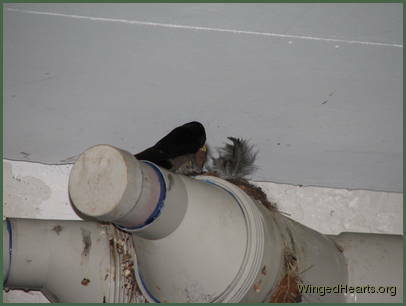 We returned with camera and were amazed to discover that there was an even tinier chick behind that tall feather. 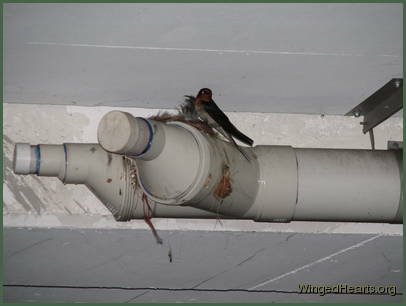 Swallows and swifts are often mistaken for each other when flying high. 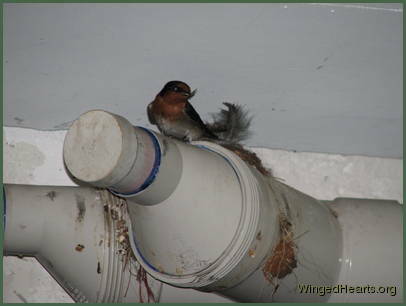 On the other hand, close cousins of the Willie Wagtails, the Rufous prefer wetter and greener habitats. 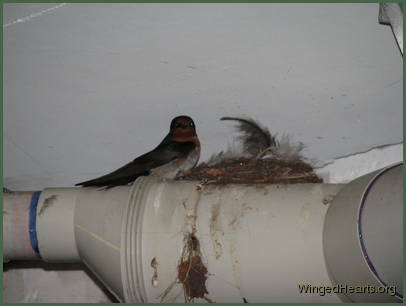 Take a look at the slideshow below for a peek at the swallows.